1.5 rewards points for $1. This is quite good if you love to shopping with cards. No APR for the first 12 months and after 12 months there is 13.99% interest rate which is good. Rewards points can be redeemed for cash, travel, etc. 18.99% Cash Advance rate is good. $38 late payment fee is reasonable. Many good opportunities for travelling with this card. Such as price protection, trip cancellation, travel accident insurance, etc. You can read Regions Premium visa reviews below and you can also write your review if you are already a card user. Share your experiences with other applicants. 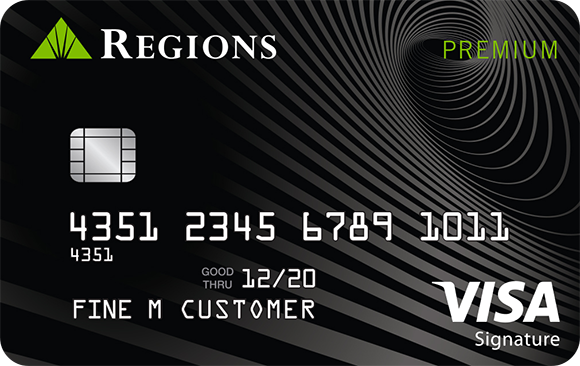 Regions Premium Visa is one of the best cards of Regions bank. You can get lots of rewards points with the card. The annual fee is also very good. There are many travelling benefits of the card. If you are looking for a travel card from Regions Bank, this card is going to be the best option for you. You can apply for Regions Premium Visa via clicking on apply button above. 13.99% is one of those lowest rate for cards in this category. Cash Advance APR is also very beneficial for consumers with 18.99% rate. The average APR for cash advance is more than 20 percent for card which is similar to Regions Premium Visa. Besides there is introductory period for 12 months. You can save lots of money with Regions Premium Visa. There is 30000 sign up bonus of the card which is equal to $300. 1.5 rewards point per $1 purchase is also good. When you think those promotions with low interest rates, these bonuses and rewards points are making this card much better. $125 for annual fee is reasonable. 4% balance transfer fee and cash advance fee is average. However minimum fee ($10) is a little bit high. You will not need to pay extra for foreign transaction fees. It means there is no additional costs when you purchase from abroad or when you purchase with another currency. 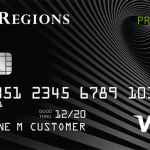 Regions Premium Card is a good no APR card with good bonus and average reward points. Besides low interest rate is making this card attractive for consumers. The only downside of the card is minimum cash advance and balance transfer fee ($10). Other than this, Regions Premium Card can be a good opportunity for you. You can see rates and fees table of Regions Premium Visa below. You can find user reviews for Regions Premium Card. User reviews are decisive in our card rankings. If you think that Regions Premium Card deserves a better/worse ranking in our website, you can feel free to write a review. This will also help consumers. I don’t think annual fee is much when you compare it with other card products. This card is very promising with 1.5 regular rewards points. Even the best card of Wells Fargo has 1x regular points + bonus. Average card with average features. APR is very good though. The card’s current APR is very good. I hope they are not going to change it. It is the most beneficial credit card than I used. Helo, I need the same compare guys. I like the card. No hidden fees at the least.